Today’s women and men lead full lives. They are professionals, mothers, fathers, caregivers, sports people, and artists. In short, you fill your days as much as possible with meaningful, enjoyable opportunities. You want to feel good but not spend all your time going from one doctor’s appointment to another. You also want to look good while not spending hours on a weekly or even monthly basis at the cosmetic center. Dr. T.G. Khan, medical director at Edgewater and Hoboken Cosmetic & Laser Centers, understands this. That’s why he offers the long-lasting treatment called Radiesse’® that Edgewater and Hoboken women and men have been enjoying for years and rejuvenating their good looks. What is the Radiesse Dermal Filler? Radiesse is an injectable filler that helps to eliminate wrinkles, laugh lines, and other signs of age. Unlike the Restylane family of products, Radiesse is not comprised of hyaluronic acid. Instead, it contains a biocompatible compound of calcium hydroxyl apatite microspheres suspended in a carboxymethylcellulose gel. Most of these particles are made up of calcium and phosphate ions, which naturally occur within the body, and the gel itself is formulated from an organic compound of carbon, hydrogen, oxygen, glycerin and sterile water. The body reacts to a Radiesse injection by forming thin connective tissue around the microspheres, enhancing collagen formation, and enabling them to act as a permanently implanted filler at the site where it is injected. Simply, it is placed deeper in the skin to provide a foundation for molding and contouring the face to a more youthful and beautiful appearance. How is Radiesse different? Is it better? Radiesse also differs from other injectable fillers in that it is not injected into the dermal layer of skin, but actually under the dermis and subcutis layers. If you are used to resuming your daily activities directly after a cosmetic procedure, Radiesse won’t disappoint you. You will leave the cosmetic center directly after your Radiesse treatment and most likely see results within one week. Best of all, these treatments tend to last one year and in some cases, two years or more. 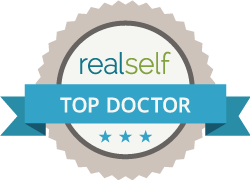 An expert in cosmetic injections and aesthetic laser treatments, Dr. T.G. Khan offers a painless treatment by taking the necessary numbing measures to provide you with an enjoyable, satisfying experience. Touch ups may be necessary during those two years, but overall Radiesse frees you to keep on looking youthful, happy, and vigorous for a long time to come. Why should I go to Dr. Khan for Radiesse Treatments? The best thing about getting your long-lasting Radiesse treatments at Edgewater and Hoboken Cosmetic & Laser Centers is that should touch-ups or any other treatments be needed to perfect your look, we are always available to offer you a vast array of options. You can get all your beauty needs taken care of right here, with a multi-disciplinary approach, where board-certified physician Dr. T.G. Khan has the distinction of being a Fellow of the American College of Surgeons (FACS) and a fellowship-trained Cosmetic Surgeon. His expertise in everything from reconstructive surgery to cosmetic injections and laser treatments ensures that your procedure will be expertly administered and your minimal recovery conscientiously monitored. Call Edgewater and Hoboken Cosmetic & Laser Centers today at 201.313.8899 to set up an initial consultation.